KEELER, Lola Ruby (nee Smoke) – Peacefully on Sunday, April 7, 2019 at Streamway Villa, Cobourg, in her 78th year. Beloved wife of the late George. Loving mother of Debra (Brian) Scott and Brian (Margaret) Keeler. 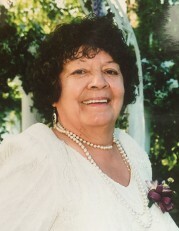 Lola will be sadly missed by her 11 grandchildren, 15 great grandchildren and all of her extended family and friends. A private interment will be held at Cobourg Union Cemetery. A celebration of Lola’s life will be held on Saturday, May 4, 2019 from 1 – 3 p.m. at the Alderville First Nation Community Centre (8913 Hwy 45, Roseneath). Donations to the Heart & Stroke Foundation would be appreciated by the family. Condolences received at www.MacCoubrey.com. Saturday, May 4, 2019 from 1 – 3 p.m.